For some reason, the fraternity men on my campus think that "Jerseys" is a suitable theme for a date party function. No just any function, but all of them. Bid Day date parties used to be nice events where the girls got to throw on their favorite semi formal dress and take cute pictures with their dapper dates. Unfortunatley, those days are long behind us. We now don gigantic jerseys, cutoff shorts and converse while our dates look like they rolled straight off the set of that one episode of Gossip Girl where Chuck plays basketball. 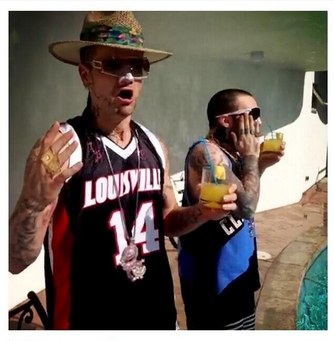 It's one of the trashiest things our Greek system does. Happier, classier times of Bid Day's past. I hate jerseys, I hate the jersey theme, and I refuse to wear them as a personal form of rebellion. Last year I wore a romper to one fraternity's date party cause I was going with the president and therefore considered myself the first lady of the date party. 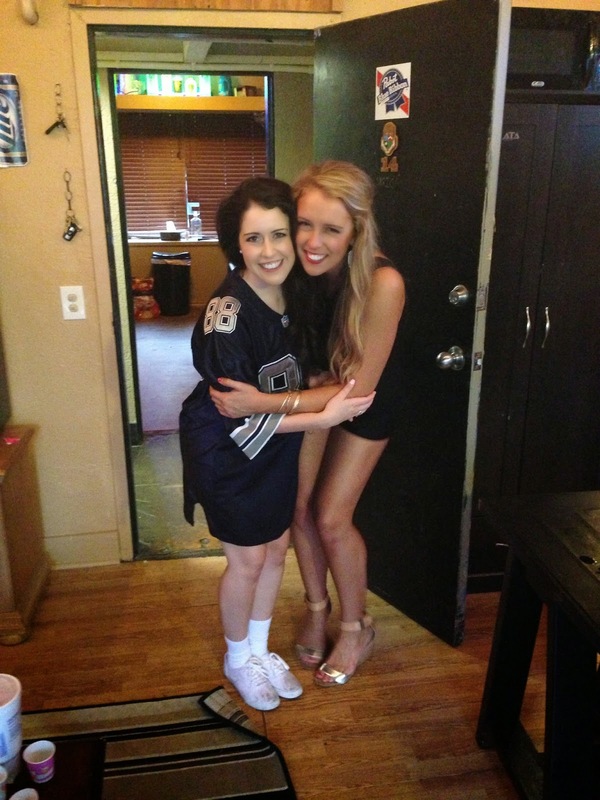 The next night me and my friends went to a different bid day date party in our own "jerseys" as Team Miley (this was before the 2013 VMA's) so I wore a tank top, tulle skirt and glitter hairspray. 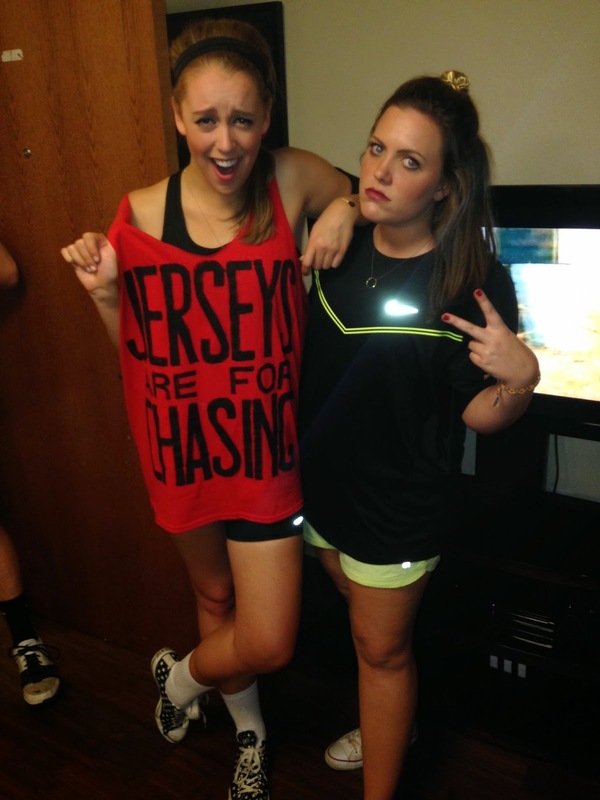 This year I opted for a hand-painted tank top that says "jerseys are for chasing" and my phone in my running armband. It wasn't an ideal bid day outfit, but it was comfortable. Thank goodness my date has weathered many date parties with me and my eccentric costumes and didn't even raise an eyebrow when I told him I was going rogue.